Food Bank of Waterloo Region. 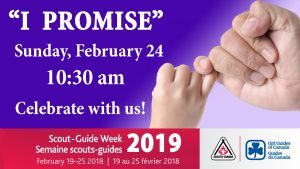 This is a Scout service, led by our youth & leaders, for our Scouting family and the people of the church (our sponsor). This NOT a regular “church service” where our young people show up and just sit in the pews. Some will be doing skits; some will be reading; some will be leading songs – everyone can participate. 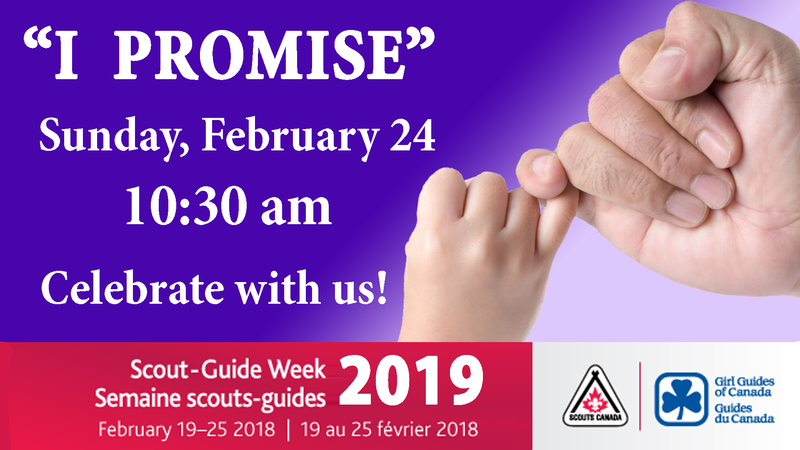 The service is at the church where our Beavers, Cubs and Scouts meet each week. It will be held ‘upstairs’, in the sanctuary. The building is fully accessible, complete with a lift that provides access to all building levels for anyone with mobility concerns. Full group attendance is required. All family members are encouraged to join us! Scouter Teresa at BPSunday@24th.ca . If you would like to take part in this service – let Scouter Teresa know at the email above.